Sea Days… long, lazy days onboard ship. What’s a cruiser to do? With so many options, it can be overwhelming — especially for the first time cruiser. Before we jump in, remember that cruise ships are “cashless societies.” Everything you do on board costs money. Shopping, drinking fancy umbrella beverages, and spa treatments cost money! You flash your card and pay without thinking about it. Budget travelers be sure to set a budget before you sail and stick to it. 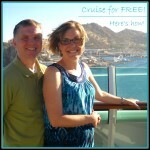 On a recent cruise, I set a $25 per day budget, which allowed me a couple drinks per day…. though I opted to use it for a spa treatment one day and drinks the first night. When I left the ship, I was in budget and not stressed! Parents traveling with kids decide in advance if you’ll give your teens charging privileges. If you’re a big soda drinker (and not traveling on Disney Cruise Lines), consider the soda package. Ditto for beer and wine packages. Book spa treatments for port days. When people leave the ship for tours, there’s no one to fill the spa. Empty spa treatment rooms mean no money for the cruise line. So, they offer great specials those days! Look for sales in the cruise ship stores. They vary by day. If you’re headed to the casino, decide BEFORE TRAVEL how much you will spend. The Daily Guide fills you in on all activities and entertainment for the coming day. When your cabin steward turns down the bed each evening, the next day’s cruise activities are provided in a handy guide. 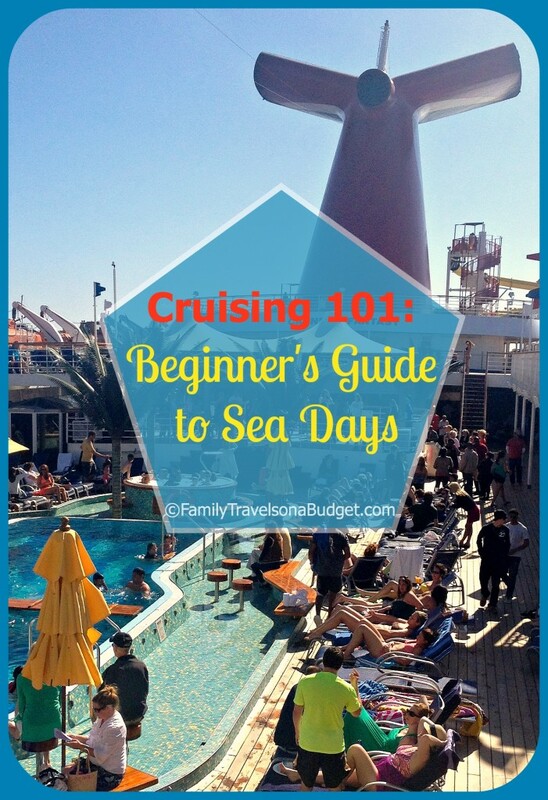 On sea days, the guide is packed full of activities from pool games, sports deck activities, art auctions, information on shopping in upcoming ports, and so much more. More than once, I’ve looked through the cruise guide and wondered how to possibly pack it all in. I am giving you permission NOT to do it all! I am also giving you permission to do things independently of your travel companions. When we cruise, my husband and second son hang out on the sports deck. I love sports and all, but I’d rather play charades (yes, I said charades) or watch the goofy games on the pool deck. We split up during those times, knowing we’ll reconnect for dinner. That’s perfectly acceptable! Pack a highlighter to mark the activities you want to do. If you forget the highlighter, just put a star or your initials by the activities you like. If you find your travel party splits up daily, ask the cabin steward to provide more than one guide each night. They do it. For free!!! Some activities, like wine tastings, involve a fee. That will be marked on your guide, usually with a $. Some activities are not suitable for children. Minimum ages and/or parent supervision are clearly marked as well. If you lose your daily guide — I lose mine all the time — you can always get another one at Guest Services. Throughout the day, activities from sports tournaments and dance classes are available to active cruisers. Indoor offerings range from movies to card games, towel animal folding classes to cooking demonstrations and art auctions to trivia contests. Whatever you enjoy, somewhere you’ll find it onboard. First-time cruisers, if you plan to attend onboard art auctions, learn about them before you sail. The auctioneers offer some paintings matted and framed. Other pieces are displayed at the auction matted and framed, but will not be shipped to you that way. Art auctioneers talk fast and switch things up all the time. For those new to art, the details can be overwhelming. 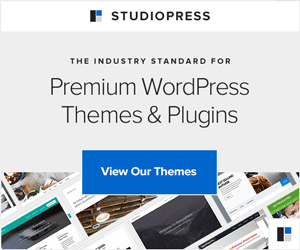 Read this article before you jump into art auction bidding. Another caveat for first-time cruisers, cruise lines have reciprocal relationships with shops in ports. On days at sea, “shopping experts” offer freebies and special savings coupons to cruisers who come to their talks. While they can be informational, such as how a diamond’s cut, color, and clarity affect its value, these talks generally push particular stores in port. If you attend a port shopping talk, listen with a skeptical ear. You can get the coupons at the shopping expert’s desk without attending the talk. Just ask at her kiosk for the coupons. 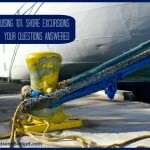 To learn more about shopping talks, read what other cruisers have to say here. 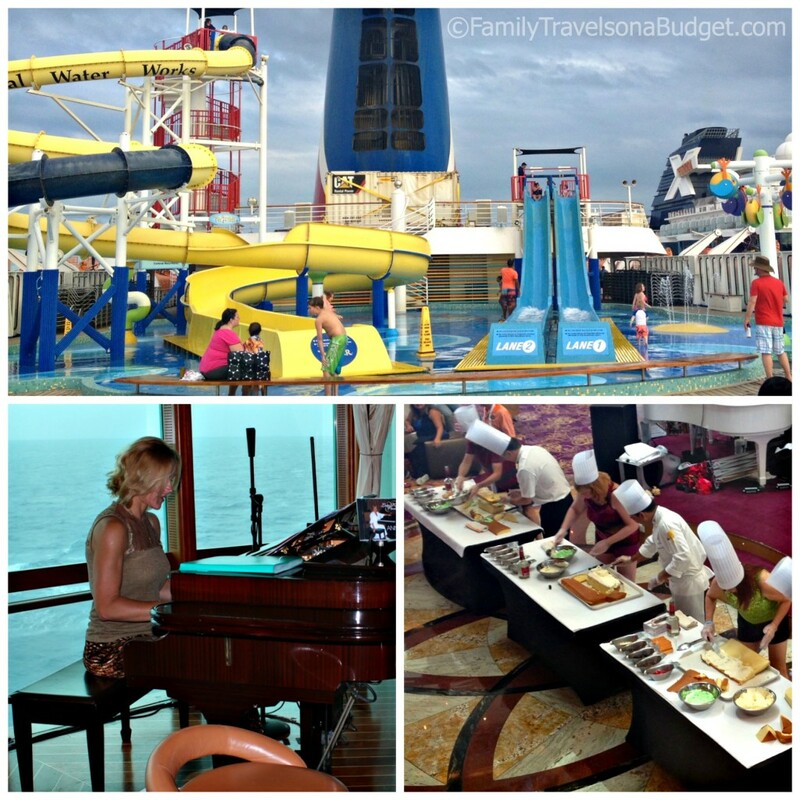 Enjoy the pool deck, entertainment at the piano bar, or a demonstration… and even more during Sea Days! Sea Days are popular in the spa and the gym. Generally, though, you’ll save money on spa treatments if you save those for port days. Since most people leave the ship for shore activities, the spa is less crowded. Like everything supply and demand, lower demand means lower prices! Gym equipment is free to use, though classes involve a fee. The gym is more crowded on sea days, especially in the morning. Kids’ programming varies by cruise line and by ship, but the major four family cruise lines (Carnival, Disney, Norwegian and Royal Caribbean) all offer children’s programming of one type or another. If you plan to use the kids’ programming be sure to attend the informational session the day you embark. Get kids registered early and if at all possible, make sure they attend the first planned kids’ activity for their age group. If you wait until later in the cruise to introduce kids to the children’s programming, they’ll miss out on that “first day” when everyone is new. Other kids will have already made friends and they’ll know the cruise staff. Just like moving to a new school district mid school year, being the “new kid” mid-cruise can be tough on kids. 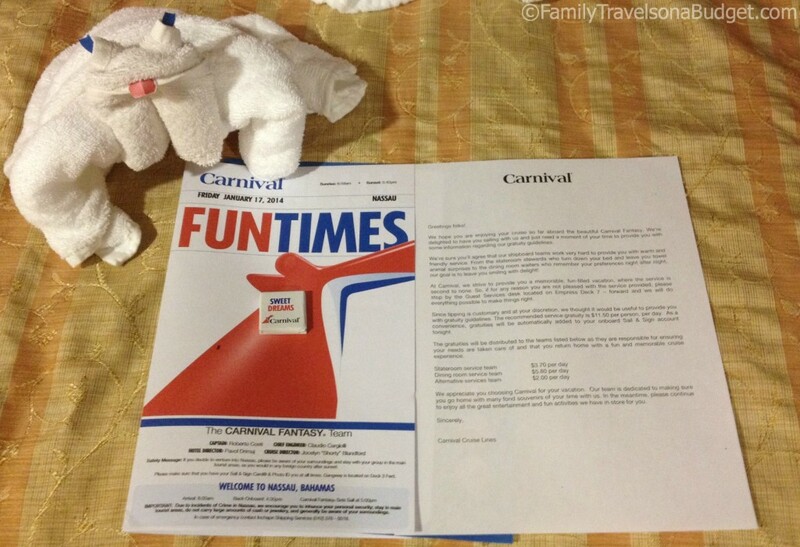 To learn more about a typical kids’ program, read my review of the Carnival fleet program (other cruise lines will be similar). Cruise ships take on a major party atmosphere after dark! Enjoy a Broadway-style show (seating is limited, so arrive early for the best views) in the main theater, dance in the clubs, party on the promenade or on the pool deck. Read your daily guide to decide which activities are for you. Whatever you enjoy, you’ll find it somewhere on board. The bottom line when it comes to Sea Days — enjoy the buffet of experiences available, choosing those you like best! It’s okay not to do the rest. Experienced cruisers, what’s your favorite activity for sea days? Any tips for first time cruisers? 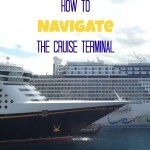 Navigating the cruise terminal — it’s not like airports. I’ve never been on a cruise so this is perfect advice for someone like me that wants do it one day. Thanks for the tips! Shopping in port you need cash for that correct? Or is it some how connected to the cruise? Shopping anywhere off the ship you need cash or a credit card. Most of the port shops in the Caribbean accept US Dollars. You cannot use your ship ID card to shop, though. I use a credit card that has no international transaction fees whenever I can during travel, but some small shops accept cash only. When I go ashore and plan to shop, I carry $30-50 USD in small bills (some in my purse and other money in a secure pocket that buttons or zips). Can a spending limit be put on a teenager’s card while they’re on the boat? Excellent question, Shannon. Unfortunately, no. You can set a spending limit for your entire family, but you cannot set a limit on a specific card. Kids either have charging privileges or they don’t. We set a limit for our teens, and let them know they’d be responsible for spending more. They both stayed way under budget, opting for the free sports deck activities over the arcade. We also purchased the soda package for them (we had the option to purchase by passenger), so they didn’t need to purchase that. Ice cream and other snacks are free. We shopped together in port, so they didn’t need to shop onboard.